WESTLAKE VILLAGE, Calif., July 20 -- Customer satisfaction with the overall experience within the dealership can considerably impact a dealer's revenue gain per customer, according to the J.D. Power and Associates 2006 Customer Service Index (CSI) Study(SM) released today. The study, now in its 26th year, measures the customer satisfaction of vehicle owners who visit the dealer service department for maintenance or repair work during the first three years of ownership, which typically represents the majority of the vehicle warranty period. Overall customer satisfaction with dealer service is based on six measures: service initiation, service advisor, in-dealership experience, service delivery, service quality and user-friendly service. Lexus ranks highest with an overall CSI score of 912 points on a 1,000-point scale, achieving particularly high ratings from repair customers in the areas of service initiation and service quality. Following Lexus in the rankings are Buick (911) and Cadillac (909). The study finds that customers who are satisfied with the service advisor and the in-dealership experience are more likely to return for service and more likely to repurchase the same make. They are also more likely to recommend the make, which leads to new vehicle sales. A gain in CSI score of just 10 points for satisfaction with the service advisor or in-dealership experience is estimated to add anywhere from $40 to more than $300 per customer annually, averaged over a one-to three-year customer base. "Generally, in-dealership improvements have been centered in the sales department," said Jane Crane, director of automotive retail research at J.D. Power and Associates. "However, customers return to the service department more often than to the sales department. The percentage of gross profit for service is substantially higher than for sales, and the influence on future vehicle sales is considerable. Investment in better upkeep, more comfortable seating, improved lighting, Internet connectivity, and the offer of free refreshments would easily pay for itself in additional service revenue." The study finds that the most effective service advisors function as a point person, navigating the dealership's processes to make things happen to meet customer needs. They listen intently when the customer speaks, which communicates respect more than superficial courtesies. They are knowledgeable and thorough in telling the customer what needs to be done, but don't come across as trying to sell unnecessary service. Often, they will find alternative solutions that will save their customers time and money. "When hiring service advisors, customer treatment skills may be more important than technical skills," said Crane. "Certainly, when good service advisors are hired, every effort should be made to retain them. Most importantly, however, service advisors are often the victims of poor service department processes and procedures. A poorly managed or non-existent appointment system, or a system that does not dispatch repair work to the proper technician with appropriate skill level, is a conflict waiting to happen. Conversely, service advisors who are backed up by well-managed service operations are poised to please." 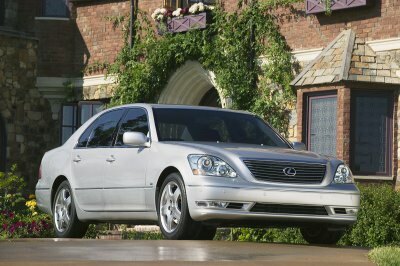 The 2006 CSI Study is based on responses from 79,580 owners and lessees of 2003 to 2005 model-year vehicles. Headquartered in Westlake Village, Calif., J.D. Power and Associates is an ISO 9001-registered global marketing information services firm operating in key business sectors including market research, forecasting, consulting, training and customer satisfaction. The firm's quality and satisfaction measurements are based on responses from millions of consumers annually. J.D. Power and Associates is a business unit of The McGraw-Hill Companies. Founded in 1888, The McGraw-Hill Companies is a leading global information services provider meeting worldwide needs in the financial services, education and business information markets through leading brands such as Standard & Poor's, McGraw-Hill Education, BusinessWeek and J.D. Power and Associates. The Corporation has more than 290 offices in 38 countries. Sales in 2005 were $6.0 billion. Additional information is available at http://www.mcgraw-hill.com/.